Today we’re dishing all the details about 3 of the hottest trends in hair color: Balayage, Ombre and Sombre. These three color techniques are the most requested looks in salons today. All three are low maintenance styles that give you a sun kissed look, but they each have key differences. 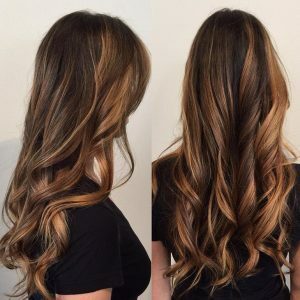 Balayage is a French word meaning “to sweep” or “to paint”. 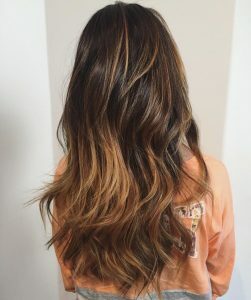 Rather than using foils or caps, balayage is a free hand technique. 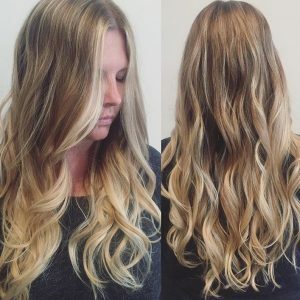 Color is literally painted on the hair for a natural, beachy highlight. 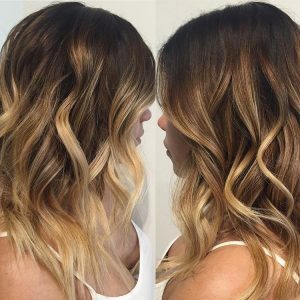 Balayage gives you softer regrowth lines so your hair can grow out longer in between color appointments. It requires little maintenance, grows out beautifully and naturally, and looks great on both light and dark hair. The color of highlights can be soft or more of a drastic color. The result is a casual, natural, less symmetrical highlight that works on any color of hair. 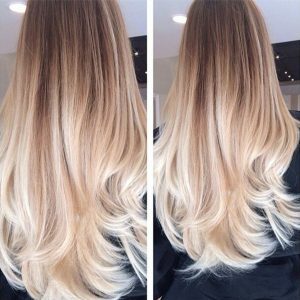 Ombre is a French word meaning “shaded” or “shading”. This color method gives you a drastic fade from dark roots to gradually lighter hair through the middle, then very light or blonde ends. 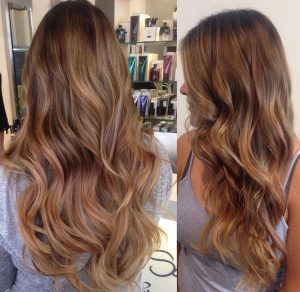 Ombre can be done in many different colors like blonde, brown, red or even rainbow. Sombre is similar to an ombre color but more subtle and soft. This style is growing in popularity as a more “grown up” or conservative approach to the ombre. The roots are usually kept your natural color with slightly lighter color on the ends. 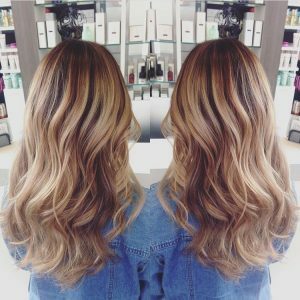 Sombre is lower maintenance and especially ideal for brunettes, adding caramel, blonde, golden, or honey tones to brighten up the ends. The lighter sections start higher, giving you a more blended, gradual fade without regrowth. 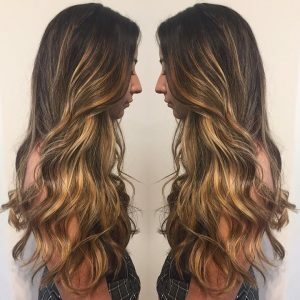 Our color professionals specialize in balayage, ombre and sombre techniques. Some see us at Alex’s Salon in Santa Barbara!